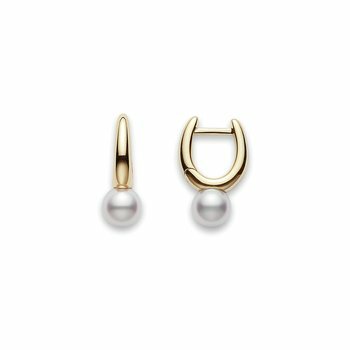 Mikimoto Akoya cultured pearl earrings, 6.5mm A+, set in 18K yellow gold. In1893, Kokichi Mikimoto succeeded in producing the world's first cultured pearl. 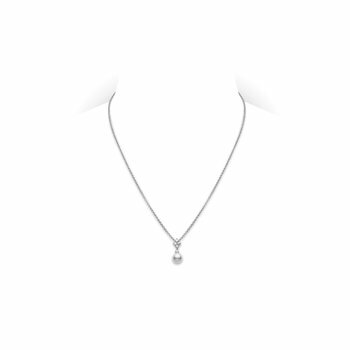 Since that day, MIKIMOTOcontinues to make history, creating its own distinctive style. 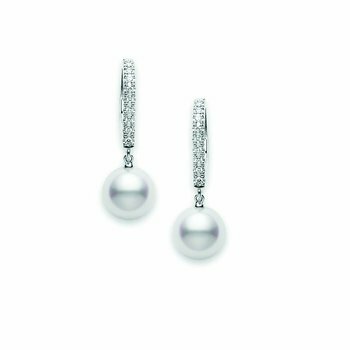 MIKIMOTO has developed the highest standards of quality and consistency by devoting more than a century to understanding the sea and researching the oyster. Only the top 5% of the pearl harvest meets the strict quality standards of MIKIMOTO. A proprietary pearl grading system measures the quality of each MIKIMOTO pearl. 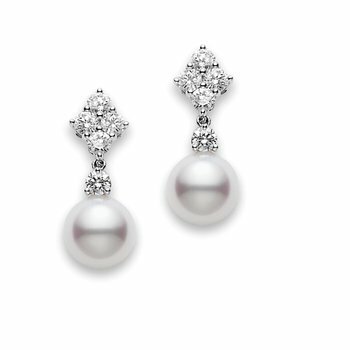 This unique grading system provides the standard of excellence that distinguishes MIKIMOTO pearls from all others. 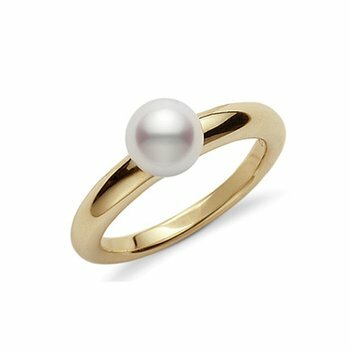 Offering the world’s finest selection of cultured pearl jewelry, Mikimoto is synonymous with unparalleled expertise and service at every stage.Since 1893, when our founder Kokichi Mikimoto created the world’s first cultured pearl, Mikimoto jewelry has possessed a timeless quality, a perfect balance of tradition and innovation, always appropriate, always in style.Absolute attention to every detail results in jewels admired around the world, for generations past and generations to come.